As long as I can remember, and probably much longer than that, the Rainier Brewery sat astride the I5, complete with its magnificent 12-foot-tall rotating neon sign. The sign is now safely housed in the Museum of History and Industry. 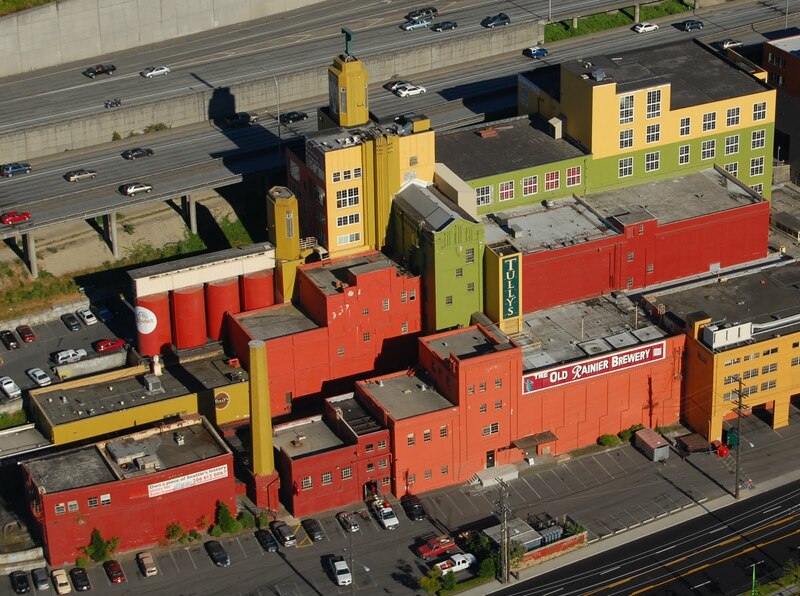 The brewery is now reborn as the corporate home of Tullys Coffee, plus a few trendy condos.